The BlackBerry PlayBook 4G has been leaking ever since February 2012 and has yet not been ready for launch. A Blackberry PlayBook 4G tablet from Research in Motion is on the way to its launch. In February, a 4G compatible version of the 7-inch tablet already hit the FCC website. As of now, there are like a few early models already in the wild. 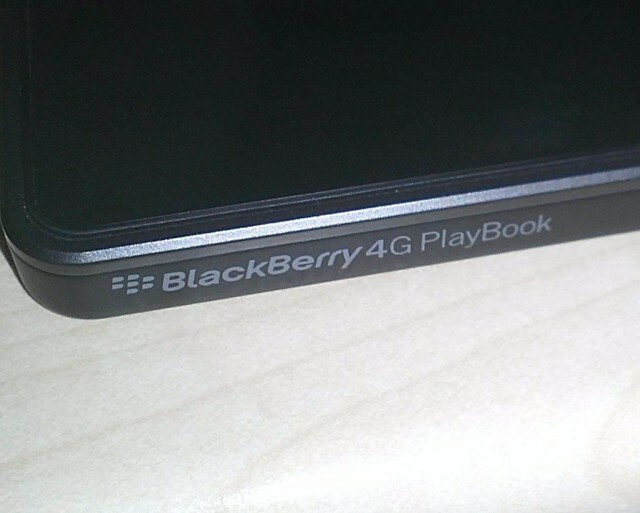 A month ago, a member of the Crackberry Forum reported that he picked up a non-working PlayBook 4G evaluation units accidently from eBay and then later returned it to the RIM. Now again, a member of the forum has got hands on three of the working units, this time the user has even posted pictures of the tablet to prove it. The looks of the BlackBerry PlayBook 4G are quite identical to the Wi-Fi only model, with the only differences being the SIM card slot and BlackBerry 4G PlayBook label on the side. In the PlayBook 4G, there is reportedly a Mobile Network Option and RIM’s BlackBerry Messenger software preloaded. Under the hood, the PlayBook seems to be quite different. The user who got three of the working units of the 4G tab, has got them via a “skip rat” or through someone who searches through dumpsters and other trash bins, which may be samples which were discarded due to some reason or stolen. But these points do prove that the 4G version of RIM’s 7 inch tablet is on a real product and might be launching pretty soon.